First time visitor or regular delegate? Here's everything you need to know about the Amsterdam Dance Event. Following up on the announcement of the 2019 dates and the opportunity to suggest your themes and topics we continue with our annual guide with everything you need to know about ADE. The Amsterdam Dance Event (ADE) is both a music conference and festival and is widely recognized as the global meeting point for the creative industry around electronic music. 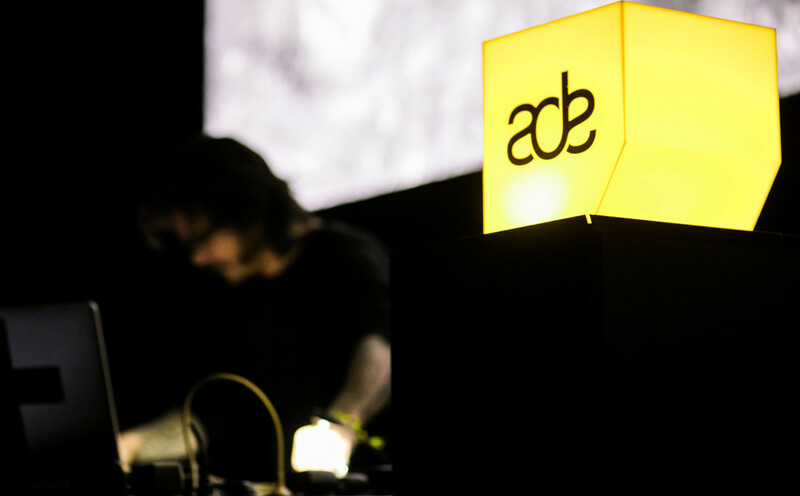 ADE consists of a ADE by Day (conference & festival) and ADE by Night (festival) program, with more than 1000 events in nearly 200 locations. Which basically means that the city of Amsterdam breathes electronic music for five days and nights. The conference centres itself around the DeLaMar Theater from Wednesday through till Friday, with main conference ADE Pro and tracks ADE Green, TECH and Dance & Brands. Most of the delegates work in the field of electronic music and are looking for the latest business trends and inspiration, but with dedicated programming focused on branding, marketing, sustainability, social change and technology ADE also attracts numerous from outside the industry. Right across the street at Melkweg one can visit ADE Beats, focused on hip-hop, bass and beats, while ADE University, the conference track for aspiring music professionals finds it home at Generator Hostel. A wide range of activities can be found within walking distance of the Leidseplein area, such as the ADE Hackathon or the ADE Guesthouse. Besides the conference, the ADE by Day program celebrates the best in electronic music culture with art, film, gear demonstrations, live music, photography and technology events all over Amsterdam. If you're not planning on buying an ADE Pass or ADE Conference Pass you can purchase the ADE Card to get access to most of these events. The Festival Hangout at De Brakke Grond takes centre stage in the ADE by Day program with the multi-day ADE Sound Lab program, which features the latest in sound and technology. Get up close with your favorite artists in MusicTalks, gear demonstrations or Studio XL Sessions, and get feedback on your music during demo pitches, workshops and masterclasses. ADE Beamlab highlights the best visual technologies and high-end stage design. The festival showcases a broad range of electronic music artists, from pioneers to upcoming talent. It is unique in its kind, with almost 140 participating venues including clubs, smaller and cosy venues, concert halls and stadiums, but also more 'one-off' locations such as museums or even Amsterdam Central Station. In 2018 the festival featured more than 2500 performing artists. The line-ups for these events will be announced over the coming months and tickets will be be available via the ADE site. ADE is a business conference and showcase festival which enables you to attend many events and see many artists with different backgrounds in one week. If you're planning on visiting multiple events during day and nighttime the ADE Pass is your best option. All benefits can be found here. Please note that access to access to events is never guarenteed with a wristband, all day- and nighttime venues have limited capacity. ADE features a wide range of travel options including hotel packages; selected hotels in combination with an ADE Pass or ADE Conference Pass. Subscribe to our newsletter and select travel options if you're keen on getting updates. Looking for a flight deal? Have a look at KLM widget to find options from more than 150 countries.